Growing up and owning the first PlayStation was a huge thing in the USA because Sony had the ‘greatest hits’ budget branding on games, making a lot of great games available for only $19.99. 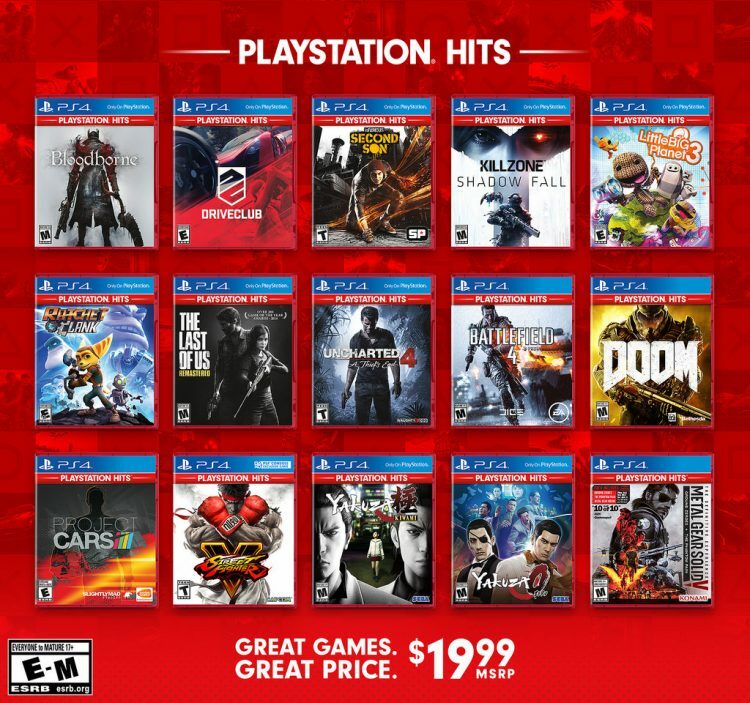 That tradition is now continuing with ‘PlayStation Hits’ brand games that will launch at $19.99 USD / $19.99 CAD / €19.99 / £15.99, the new budget brand hits June 28th in America and July 18th in Europe. 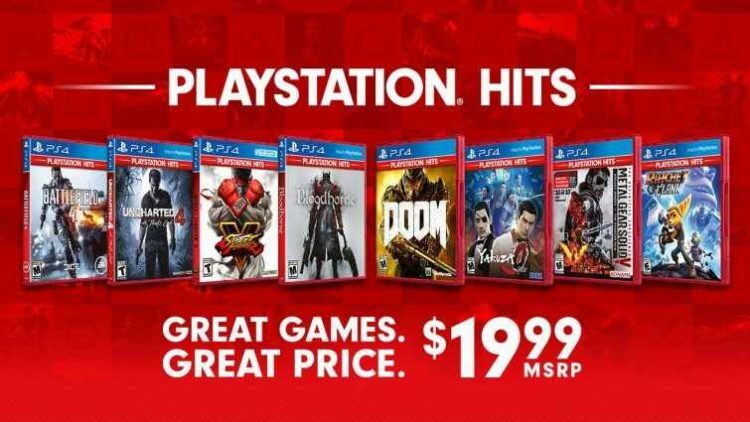 In the past, ‘Greatest Hits’ was a badge that meant the games sold over a certain threshold in that specific market (PSone era it was 250k units in 9 months). No idea if they set one for these titles but they all seem to be rather popular games. It’s nice to see Both Yakuza 0 and Kiwami join this lineup alongside Bloodborne, MGSV, The Last of Us: Remastered, among others. Sadly, I didn’t have a PS1, PS2, or even a PS3 growing up as they have such an amazing library of games. Some good, some bad and some mediocre. There’s something for everyone. Aside from that, I wouldn’t mind going after some of those games for $19.99 USD each, not counting Yakuza 0, Infamous: Second Son and Rachet & Clank because I already owned them. I’m also okay with Sega releasing more of their games on PC for Steam but my one big problem is that DRM called, “Denuvo”. Any PC games that has it is a no-go for me. Sorry my fellow PC gamers. Thankfully, not all of Sega’s games on Steam has Denuvo, like Sonic Generations & Alien: Isolation but some of them have the EULA (End User License Agreement). Any PC game without Denuvo is fine by me but the ones that do have it, no thank you. Is it wrong for a Hatsune Miku game to be on PC? Just wondering.